With the weather getting warmer it means I have been trying to get James drinking plenty of fluids in the heat to keep him hydrated, So when we received some drinks to try out from the lovely people at the Appy Drinks company we couldn't wait to try them out. healthier more affordable. They believe in kids before profit, so we create our products with the best Appy chefs using the most innovative natural ingredients, such as stevia, to ensure we arealways approved by Mums and Loved by Kids. You can be assured that whenever you pick up a product with the Appy logo on, it is guaranteed to be low in sugar, low in calories, free from preservatives and always full of 100% natural goodness"
I do try and keep an eye on what James is drinking and what his drinks contain so we usually just give him water but lets face it water can be boring (especially for a child who see's lots of colourful childrens based drinks on the shelves and in most places we visit!) 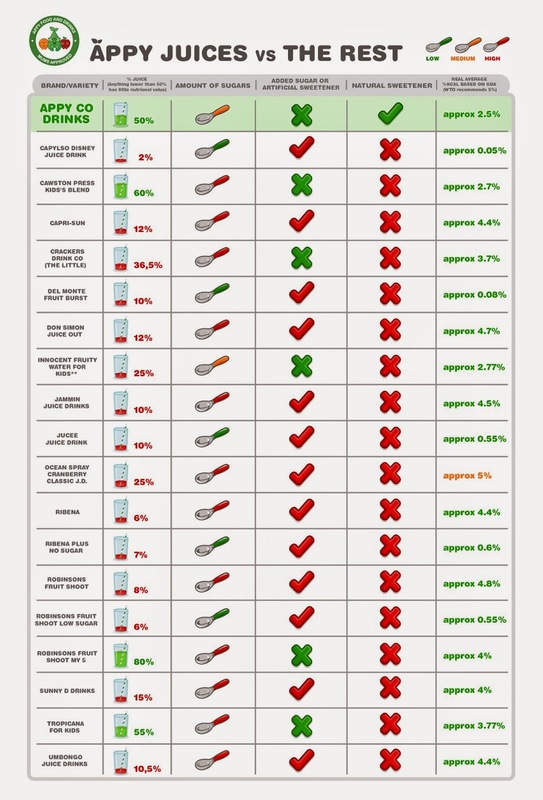 So we were really excited about trying out the range of drinks from Appy thats because Appy drinks contain 50% less sugar and calories than other juices because they use natural stevia instead of sugar. 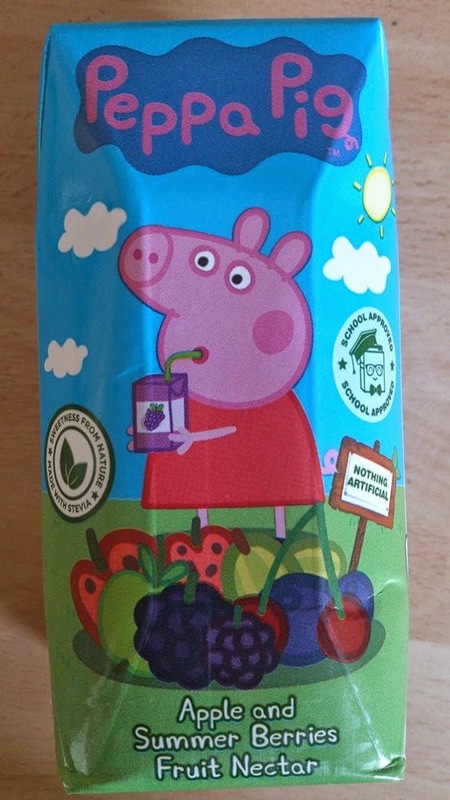 The Peppa Pig design Apple and Summer berries flavour fruit nectar drink. This flavour had a lovely fresh flavour that really quenched your thirst. You could really taste the summer berries with a subtle hint of apple. 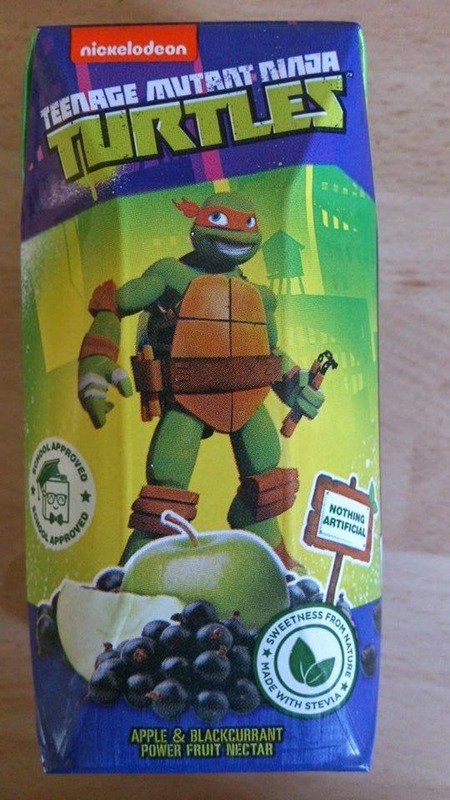 Ninja Turtle Apple and Blackcurrant flavour fruit nectar drink. This flavour was James favourite! 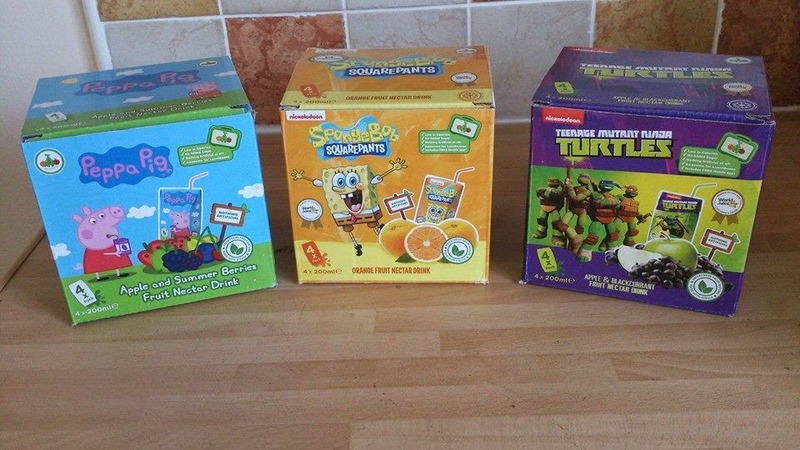 I think thats partly because its the ninja turtle design and hes a huge fan of ninja turtles but he also said he liked the flavour. I often find with apple and blackcurrant drinks they taste too sweet but this wasn't the case with this drink it was a lovely flavour, sweet but not too sweet. 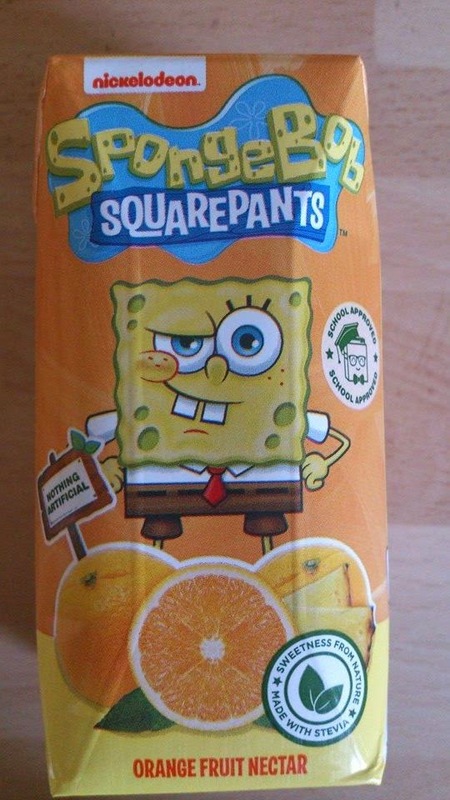 Spongebob Orange flavour fruit nectar drink. This was my personal favorite. It has a lovely natural orange flavour that was refreshing and a lovely alternative to orange squash. Of course I wouldn't recommend using these drinks as a complete alternative to water! But these drinks make a fab treat and the handy sized cartons make them perfect to pop into your handbag or picnic bag for a day out. I loved the quirky designs with the instantly recognisable popular TV characters of the drinks and these made them really appealing to James. All of the flavours tasted fresh and delicious. 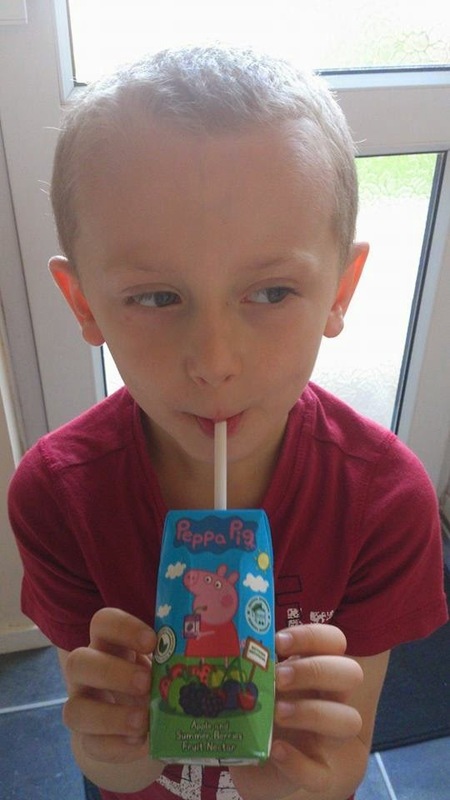 Appy Food and Drinks also have a funky website which you can find HERE the website also has a section with recipes, games and a create section which has lots of fun craft activities including making your own peppa pig! Appy also has a fun app (this can be found on their website above) which you can download to your smart device and then you can customize images, watch videos and enter competitions! Which flavour do you like the sound of? I think these are a fab idea and would be a success with Cameron, seen as he loves Peppa Pig and Teenage Mutant Ninja Turtles! Fab review lovely. I think my girls would find it hard to choose which flavour they like the best! If it went on packaging, they'd go for Spongebob because Peppa Pig is too babyish for them now (their words, not mine!) and they don't like the turtles! We really like orange in our house, so that would be our choice! My daughter is also a bit Peppa Pig fan, so these sound great! It's so difficult trying to find suitable drinks for children. I know we keep being told to give them just milk and water but everyone needs something with a bit of flavour sometimes. Anything that has summer berries in it has my vote. My littlest would love the Peppa Pig design too. The Peppa Pig Apple and Summer berries sounds yummy. Wow, just look at this table... I had no idea about all those differences. I love all the characters on them.I guess a little juice does no harm its when kids get out of the habit of drinking water is when the problem starts for tooth decay. These look great! I think my little boy would love the Spongebob one!